Laid down, 14 February 1944, at Consolidated Steel Corp., Ltd., Orange, TX. Commissioned USS LCI(L)-955, 4 April 1944. 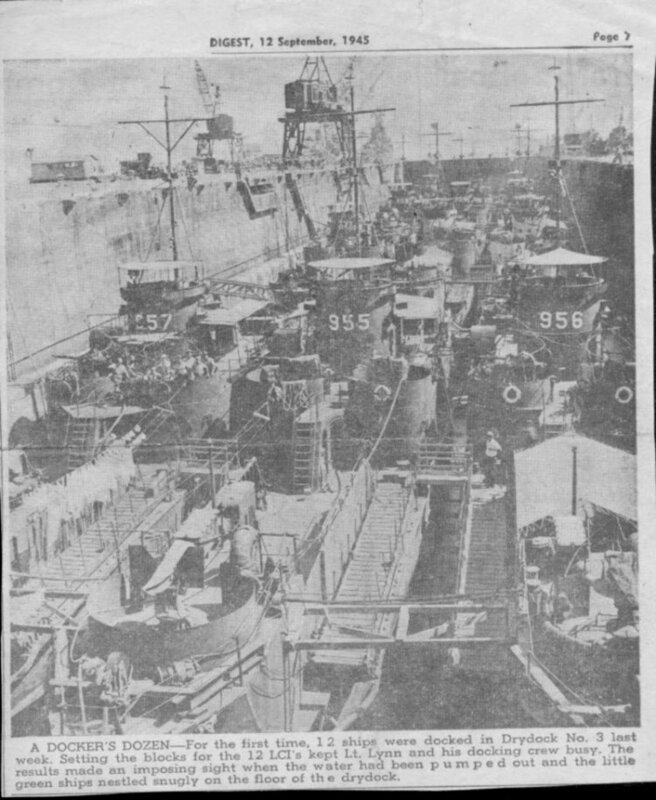 136k USS LCI(L)-955, USS LCI(L)-956 and USS LCI(L)-957 along with nine other LCIs (including USS LCI(L)-960) in Drydock #3 at Navy Yard, Long Beach, CA., September 1945.